The abuse of asset forfeiture laws contradicts our sense of fairness, and as such, the topic has moved into the national spotlight. 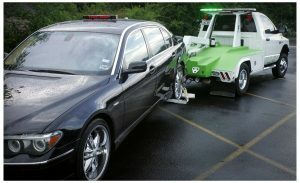 Asset forfeiture laws allow police to seize property – cash, gift cards, pre-paid debit cards, even cars and real property – that the police allege is involved in criminal activity. This is usually done without any arrest or conviction of the property owner. And once seized, it can be very difficult for the property owner to get the property back without the help of an experienced Okmulgee asset forfeiture attorney. Asset forfeiture proponents believe that such seizure is a powerful tool against the war on drugs in particular and criminal activity in general. The law allows local law enforcement agencies to split the assets seized between themselves. This has led to considerable abuse by law enforcement agencies. What was once a way for states to confiscate the illegal proceeds of large-scale drug money has become a way for municipalities to line their pockets. Abuse is rampant in part because of a lack of transparency, oversight and accountability in the process. As time has gone on, law enforcement has used the process as a way to pay salaries and other expenses without any oversight. If your assets are seized you become a claimant and must prove that you were not involved in illegal activity. And that can be difficult without help. Reform is needed, but until that happens, you will need someone on your side that knows the ins and outs of the legal system in your area, particularly someone experienced with Oklahoma asset seizure practices. You might not realize it, but driving on an Oklahoma roadway may subject you to forfeiture. It is called “highway interdiction” and here is how it often works. Your tail light is out and you get pulled over. You get a ‘fix-it’ ticket and you think the matter is done. Then the officer starts asking you questions about your trip and if you are nervous and stop and start in your explanation, the officer gets suspicious. He requests to search the vehicle. You agree and he finds $2,000 in vacation money in the glove compartment. Suspicious that this is ‘drug money’ the cop takes it. And that’s it. You did nothing wrong and your assets have been seized. Sound like an unfair process? Does it push the boundaries of Constitutional law? Many people think so; particularly due process. Once the state has your money, it is reluctant to let it go. If you want your money or other property returned, you now have to prove that the state is not entitled to keep the money. You must file a claim for the return of the money. And if the money is not returned, you may have to file a lawsuit. Some courts now will return not only the amount initially seized, but also award attorneys fees in an effort to stem the abusive process. It can seem impossible to get your money back, and without an experienced Okmulgee asset forfeiture attorney in your corner, it can be difficult. You need the help of an experienced asset forfeiture attorney. Call us at (918) 756-9600 or (888) Wirth-Law for a free consultation with an Okmulgee asset forfeiture attorney at the Wirth Law Office – Okmulgee. Or, enter your legal question or concern in the firm at the top right of this page, and one of our attorneys will email or call you.